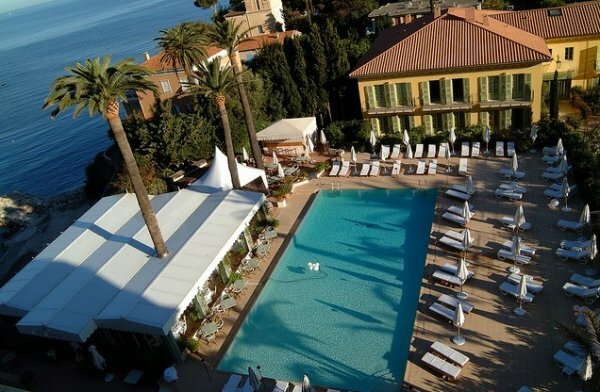 Hotel Royal Riviera is the only full resort in St. Jean Cap Ferrat with its own private sandy beach. 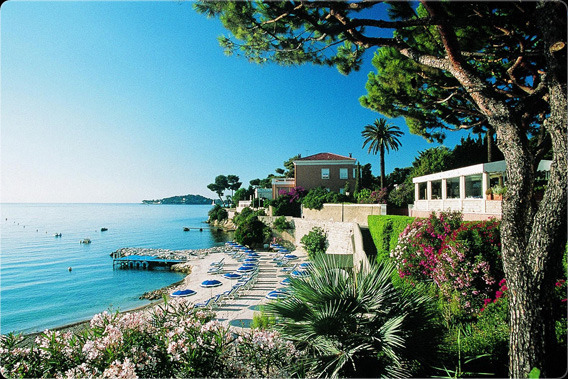 It is a 15 minute stroll from The Capes and restaurants of Cap Ferrat. 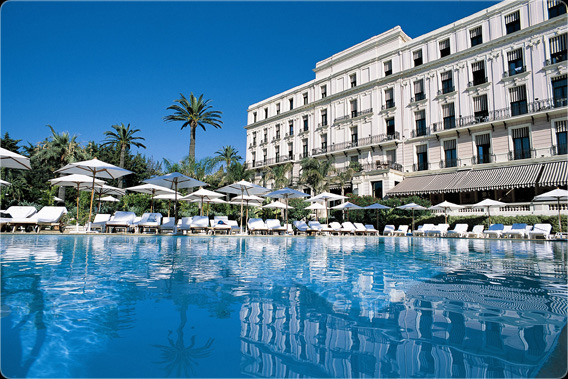 Formerly a hotel residence for the British aristocracy, Hotel Royal Riviera was built in 1904, and has been fully restored, combining the historical ambiance of its past, plus the modern conveniences of an international luxury hotel. 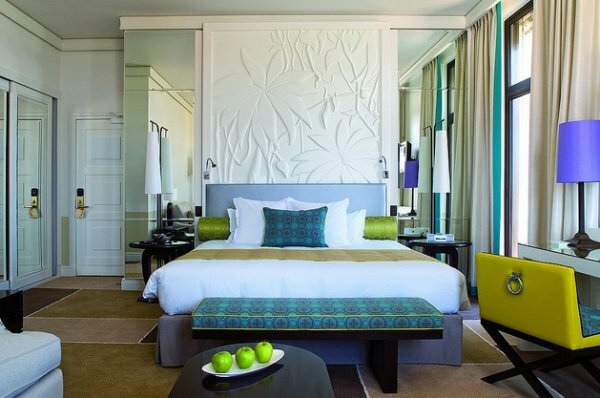 Guestrooms and suites offer classic styling with all of the conveniences and luxuries found an a luxury hotel. 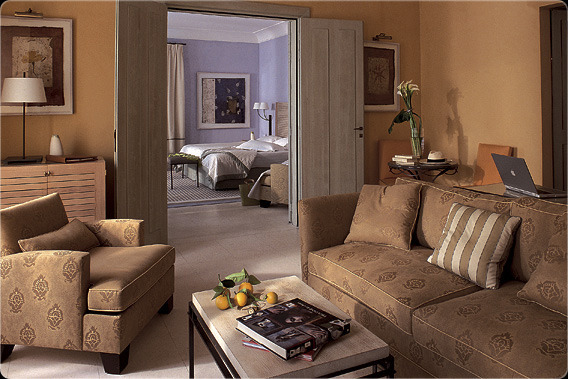 Decor in the main building reflects the hues and style of the southern landscape, while the Orangerie Villa offers a palette of lavender and orange sherbet, including Meleze wood molding. 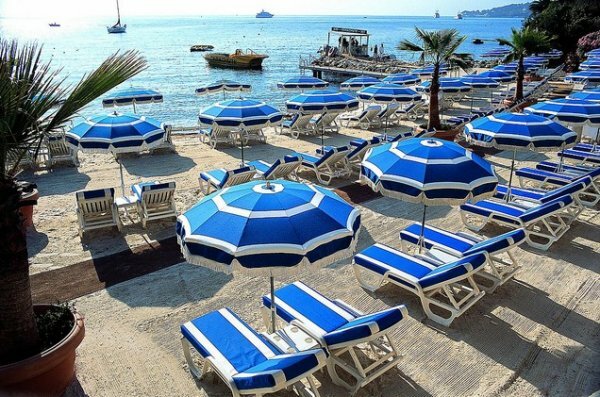 Just a few footsteps away from the hotel, the private beach disposes of its own platform, inviting you to try out a variety of water sports, such as parasailing and jet skiing inviting you to surf through the waves on water skis, or simply to relax on a boat which you can hire on request. Fees available from the concierge. The Royal Riviera pays particular attention to our young and loved ones by allowing children under age of 14 to share the room of their parents at no extra charge (applicable to deluxe rooms and suites only). 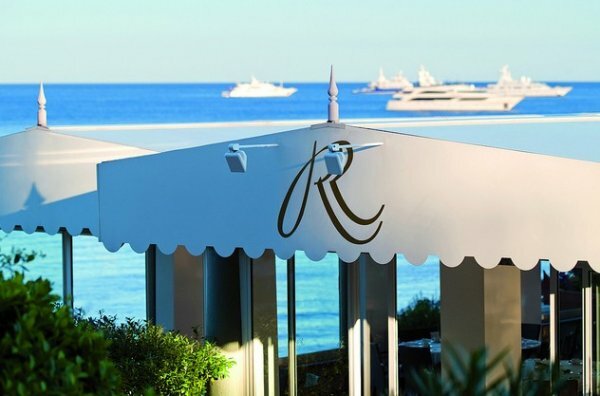 The ideal place to organize a management meeting, a prestigious event, a product launch or an incentive for a group of between 15 and 100 people. 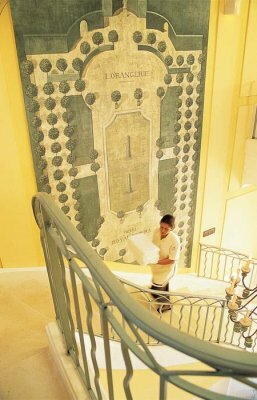 The hotel can offer you exclusive occupation of its 90 rooms and the entire residence, or of the Orangerie only for smaller groups, between October and April. The meeting rooms are all abundant in natural light, situated on the ground floor, on the level of the gardens , and with a superb view of the Bay of Beaulieu, They can accommodate between 10 and 150 people. 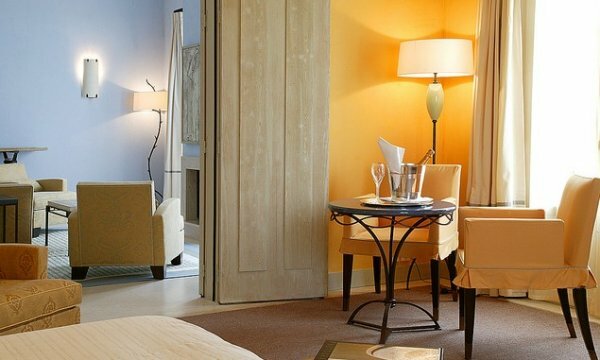 The superior rooms of the Orangerie offer a light, pastel colored interior, enlargened by either a balcony or a terrace overlooking the swimming pool or the lush gardens. Marble bathrooms, bath, shower, two wash basins and separate toilet. 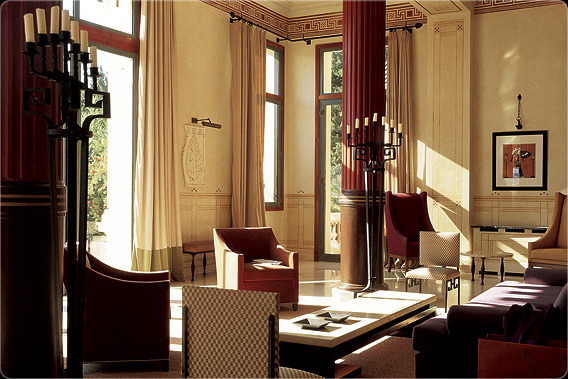 The large wooden doors of the Orangerie disguise the intimacy of the interiors of the suites, decorated in soft and light colours and with discreet luxury.Marble bathrooms with bath, shower, two wash basins and separate toilet. 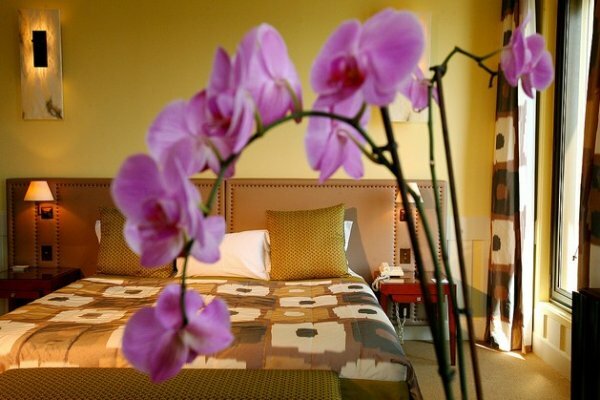 Bright and spacious, all equipped with either balcony or terrace, the deluxe rooms of the Orangerie reflect entirely the spirit of the Mediterranean.Marble bathrooms, bath, shower, two wash basins and separate toilet. 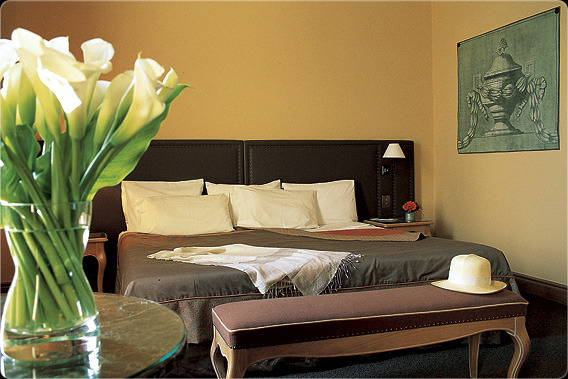 Soft and light in style, the mountain view rooms were completely renovated in 2006, with a modern, subtle and relaxing feel. 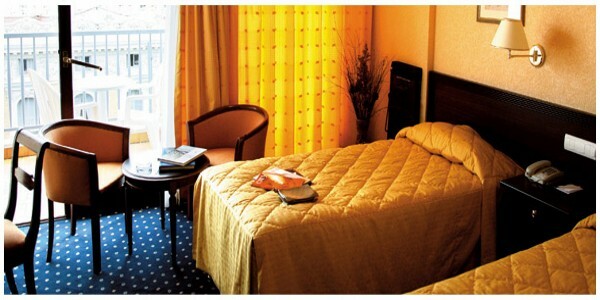 They are located by the hotel entrance, facing the road and are equipped with queen beds. (1.4m x 1.9m). 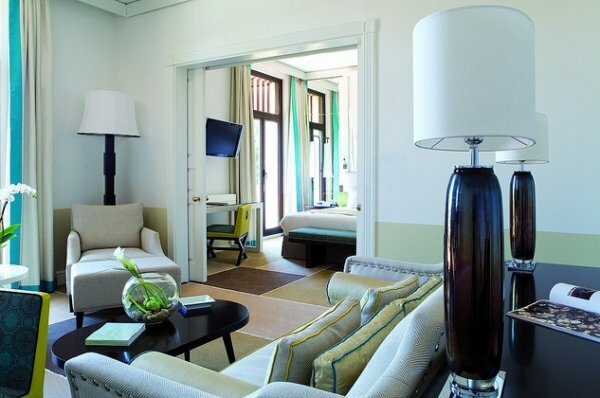 The Junior Suites are magnified by their large windows and vast views directly over the Mediterranean, leaving you feeling completely enveloped by the magnificent surroundings, excellent bright marble bathroom. 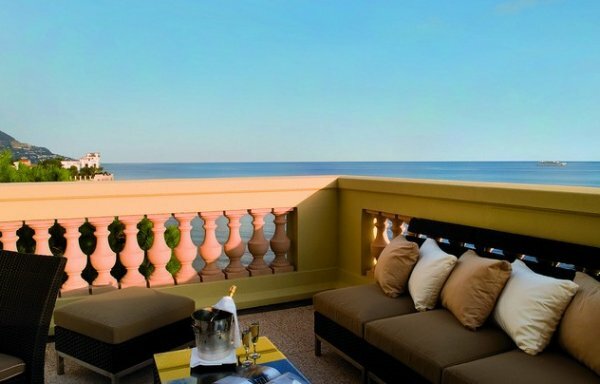 With their large windows directly overlooking the gardens of the hotel and the sea, the deluxe rooms offer both the comfort and the perfect dimensions you would expect from an ideal living space. 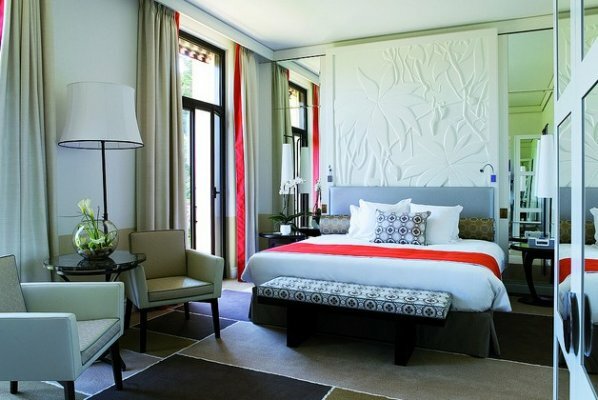 With its large terrace and view encompassing the whole grounds of the Royal Rivera, the suite is hugely spacious, boosted by its high ceilings, separate bedroom and lounge, decorated in muted tones designed to complement the furnishings. Sumptuous bathroom decorated in marble. 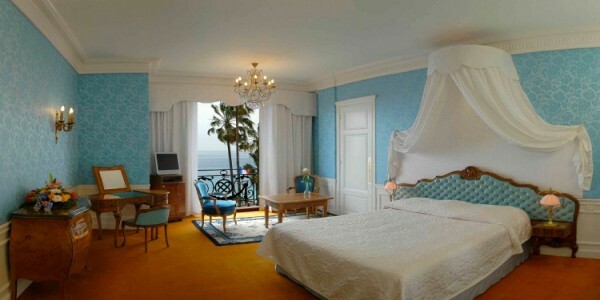 Light and spacious thanks to their high ceilings, the superior rooms offer excellent views of the hotel gardens and the sea. 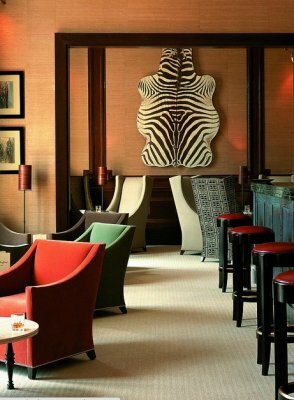 The bar “the cap”disposes of a décor characterized by a magnificent zebra skin, wooden masks and a variety of ethnical objects, leaving you with the impression of being inside a collector’s room. 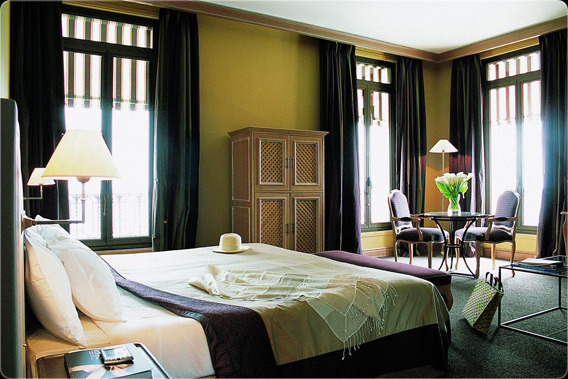 The relaxed and convivial atmosphere makes you feel immediately at ease. The bar also boasts a full length terrace overlooking the hotel gardens. 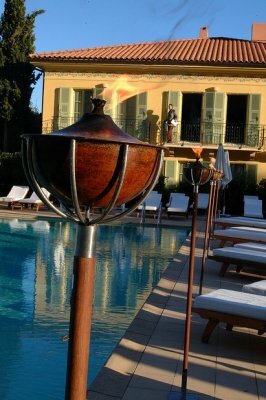 Drinks are served here as soon as the good weather arrives, allowing you savour the gentle quality of life the Riviera. And for those who can’t bear to be parted from the comfort of their bedroom, rest assured, the room services offers a large selection of culinary delights which you can enjoy at your own leisure, 24 hours a day. 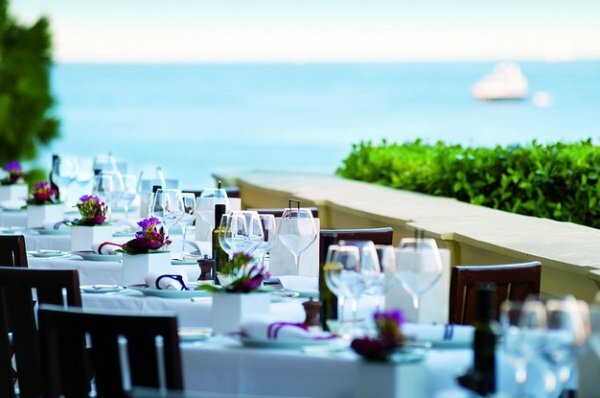 The restaurant ”Le Panorama” under the direction of the chef Bruno Le Bolch offers you a journey pleasing both to the eyes and the taste buds. A subtle mixture of Provencal cuisine and flavors from further afield creates an inventive an irreproachable table. 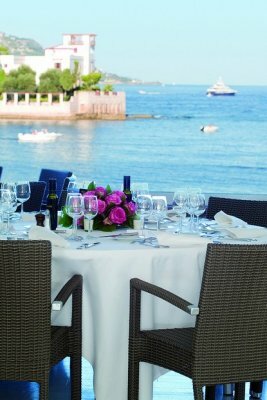 In July and August, the Summer restaurant “La Pergola’ is open every day for lunch. 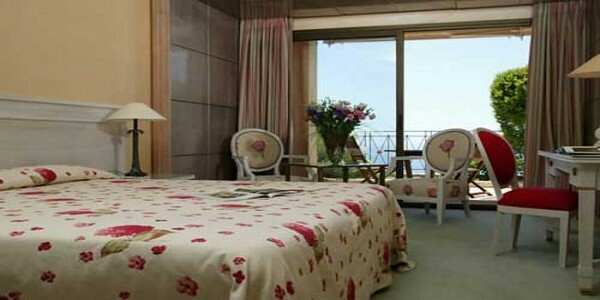 The pergola is situated next to the swimming pool with a magnificent full view of the sea. Every lunchtime, the Chief will offer you a large choice of salads and Mediterranean specialties, as well as barbecue grilled meat and fish. For those who can not bear to leave behind the comfort of their bedroom, rest assured, our room service is available 24 hours a day to offer you a wide range of culinary delights, which you can savour at your own leisure.